After reaching Delhi, get in touch with our representative at the airport who will assist you with a transfer to the airport. Check-in at the hotel followed by an overnight stay. After enjoying a hearty breakfast, get ready for a day of complete excitement and fun. Spend the day exploring this vibrant city with some wonderful sightseeing. Delhi, with its numerous attractions, ranging from cultural to architectural, has always attracted tourists from all across the country. Your tour begins with a visit to the Laxmi Narayan Temple, which is also known as the Place of Gods. Afterwards, you can visit the other prominent attractions like India Gate, Parliament House, Red Fort, Gandhi Memorial, Jantar Mantar and Qutub Minar. Each of these monument is associated with an important historical event and sheds light on the past achievements of the country. After sightseeing, return to the hotel for a wonderful dinner. This is followed by a comfortable overnight stay. In the morning, you will be transferred to the next destination, Agra. Enjoy a hearty breakfast in the morning and then make your way towards Agra. Upon reaching Agra, complete the check-in formalities in the hotel and relax for some time. Then, leave for a sightseeing tour of Agra and visit the Taj Mahal. One of the wonders of the world, it stands as a timeless vision of love. You will also visit the Agra Fort and Itmad-ud-Daula Tomb. All of these magnificent structures will leave you enchanted with their architectural excellence. Afterwards, return to the hotel and spend the rest of the evening at your own leisure. You also have the option of exploring the local market of Agra. This is followed by an overnight stay at the hotel. Start your morning by witnessing the mesmerizing view of Taj Mahal at sunrise (optional). Return to the hotel for a delicious breakfast and then complete your check-out formalities. Begin your journey towards Jaipur. 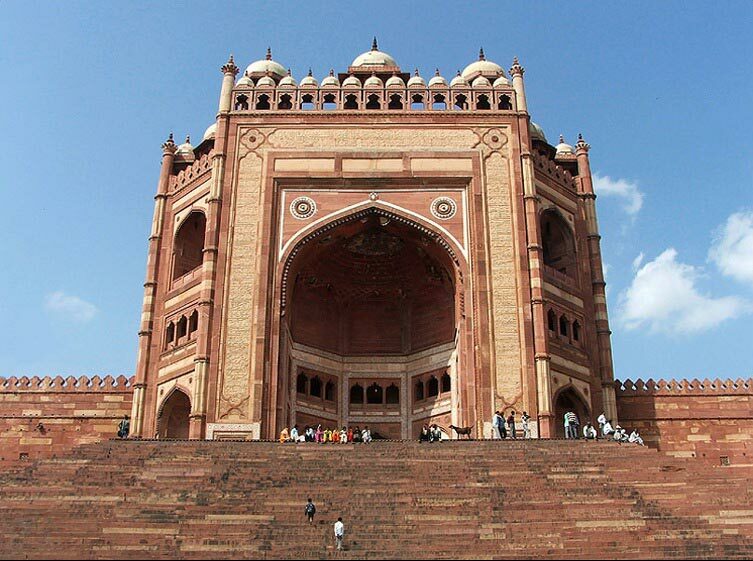 On the way, visit the spectacular but deserted Fatehpur Sikhri, which served as the capital of the Mughal Empire for a short time. After reaching Jaipur, complete your check-in formalities at the hotel. This is followed by a comfortable overnight stay at the hotel. Jaipur, the Pink City, is a city of royalty, and is home to numerous attractions that shed light on its glorious history. Your tour of this city begins with an excursion to Amber Fort where a unique experience awaits you in the form of elephant rides. Later, embark on a short city tour and visit attractions like City Palace which is a curious combination of Rajasthani and Mughal architecture, along with the Royal Observatory. After enjoying sightseeing, return back to the hotel for dinner. This is followed by a comfortable overnight stay at the hotel. Leave by road for Mandawa in the morning. Located 170km away from Jaipur, it requires a 4hr drive to reach. Upon reaching Mandawa / Alsisar, complete your check-in formalities at the hotel. In the evening, explore the Shekhawati region and the marvelous painted havelis present there. Enjoy an overnight stay at the hotel. After an enjoyable morning breakfast, make your way to Delhi and get transferred to the international airport to board a flight to Delhi.